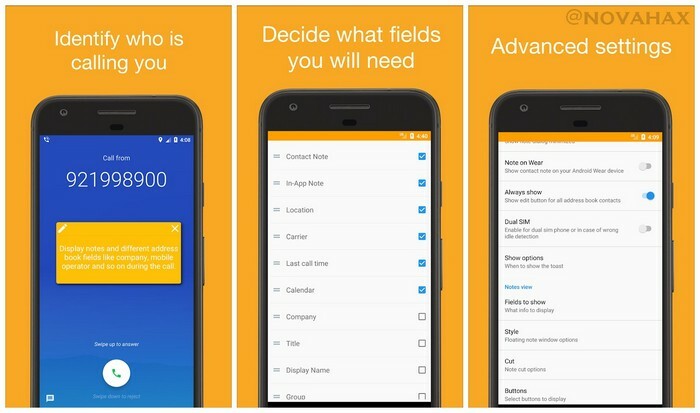 Call Notes Pro is a must-have for those who communicate a lot with new people and who have a long list of contacts. Business owners, consultants, lawyers, salespeople, recruiters, and journalists are satisfied users of the app. number and its type, type of call, address, email, website, location, and carrier. Modify the notes directly from the application, after the call or even during the call. Highly customizable, you can adjust the location, font size, and color to fit your UI theme. A lot of advanced configuration options. 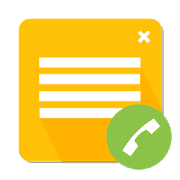 Support for all Android address book fields and internal note databases. You can even add notes for unknown numbers. Sync in-app notes with Evernote and OneNote. Support for the Android Wear devices. Runs on any Android version from Ice Cream Sandwich to Oreo.